Dense breast tissue presents a number of challenges for patients and imaging professionals alike. 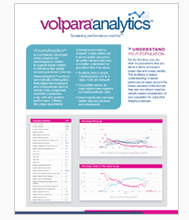 Since an increasing number of states now require providers to notify patients if they have dense breasts, Ultra Imaging Solutions is proud to offer Volpara software, a mult-vendor suite of volumetric breast density tools designed to improve clinical decision making. 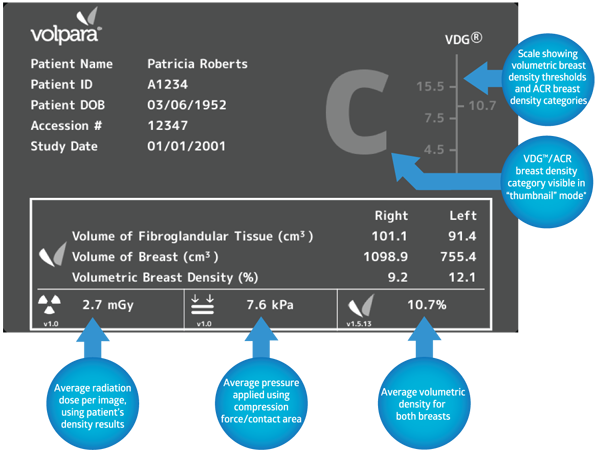 "Volpara gives our radiologists objective information so they can confidently identify dense breasts and communicate effectively with our patients." 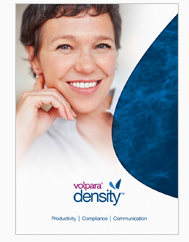 Volpara Density works with data from most digital mammography vendors to provide both volumetric breast density measurements and an ACR breast density category mammography data. 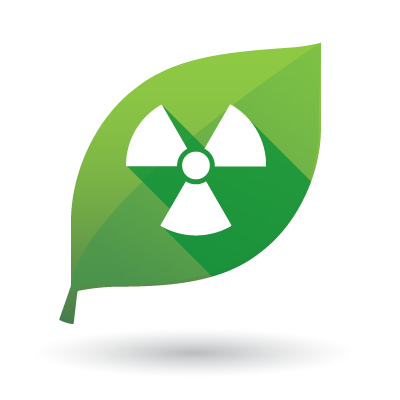 Easily integrated into existing workflows, Volpara Density provides a density score to radiologists while the patient is still present, which helps improve workflow and facilitate compliance with state laws. Volpara Analytics is a centralized dashboard that presents key mammography metrics to support the delivering of high quality patient care. It automatically collates data from digital mammography and tomosynthesis units to enable cross-comparison of patient populations, X-ray units, and operator performance, so facilities can perform with greater consistency. 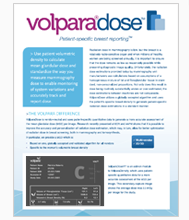 Volpara Dose is an add-on module to Volpara Density that reports patient-specific dose information so facilities can reduce and standardize patient dose. Volpara® is a registered trademark of Volpara Health Technologies LTD.